Better Health Takes A Team. 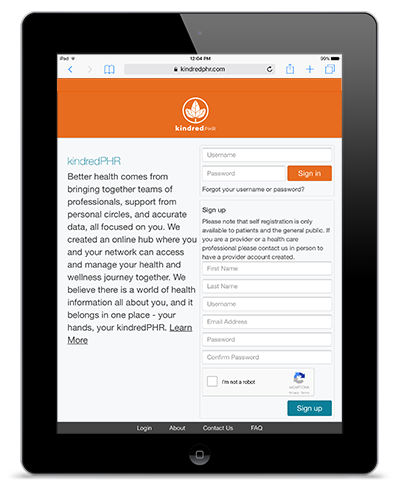 kindredPHR is a person-centered health record that can improve a clinic’s practice efficiency, patient engagement & satisfaction. Spend less time on the phone by providing patients with easy access to appointment scheduling. Make communicating with your patients faster and easier with instant messaging. Share important health information and health management tools to keep patients engaged in their care. Promote better healthcare by providing family members, caregivers & other clinicians access to valuable health information. Works with Oscar EMR for integrated scheduling, document sharing and message archiving. Allows patients to book and manage their appointments online.